Before Christmas we held a competition in conjunction with The Wheel, the umbrella body for Ireland’s charities and non profits. 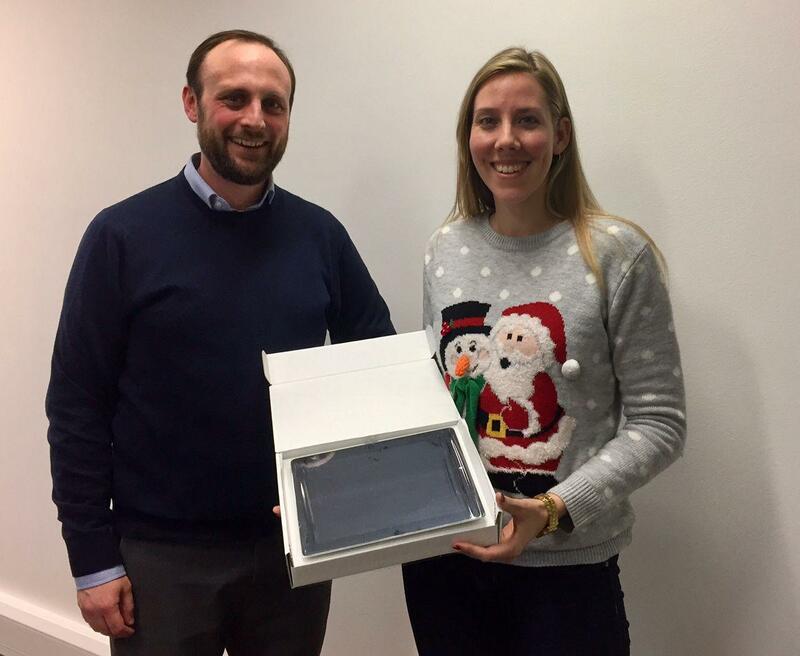 We are delighted to announce that the winner of an iPad was Jigsaw, who provide vital supports to young people with their mental health by working closely with communities across Ireland. Pictured is Brian from The Wheel and Aislinn from Jigsaw. Remember Pay IT Forward with RECOSI by donating your end of life IT Equipment to us where we can help schools, charities and communities access the equipment that they need.